Welcome to the paper’s Damage Report! In order to keep readers up to date with current events, we decided to start this biweekly feature, in which we present short, concise explanations of major topics that have occurred that week in the news. As well, we will link to other articles that will provide further information, as well as other articles we believe coincide with the story. This feature will be published every Tuesday – Friday. 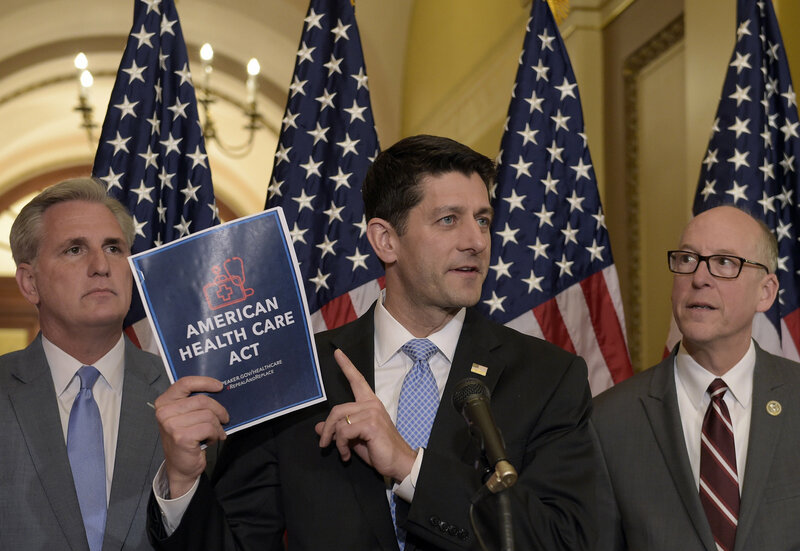 Republicans have begun pushing their new healthcare bill through Congress, which was revealed on Monday and is intended to repeal and replace the Affordable Care Act, faster than anyone expected. On March 9th, the legislation overcame its first major obstacles, going through both the House Ways and Means Committee and the House Energy and Commerce Committee. In each of these committees, the bill was heavily discussed, but members eventually voted along party lines. Unfortunately for Republicans looking to fast-track the new legislation, those plans are facing a lot of obstacles, as Democrats have vowed to block the measure at every junction. There is also increasing backlash to the bill, as nonpartisan, liberal, and conservative think tanks and policy wonks have slowly released information on the new bill’s projected effects on American citizens. The bill also faces trouble from the Republican side of Congress, as a growing number of them are opposed to the bill. This includes the Freedom Caucus, who take issue with paying for healthcare with government funds. President Trump, as well as other Republican leaders, are attempting to court these Republicans towards the bill. It does look like passing Trump’s healthcare reform will be a struggle he did not anticipate. Wikileaks, the non-profit international whistleblower organization, released a bevy of documents on Tuesday that allegedly detail C.I.A. hacking tools. These tools can apparently hack into many different types of electronic devices, including everything from smart TVs to cell phones to cars. 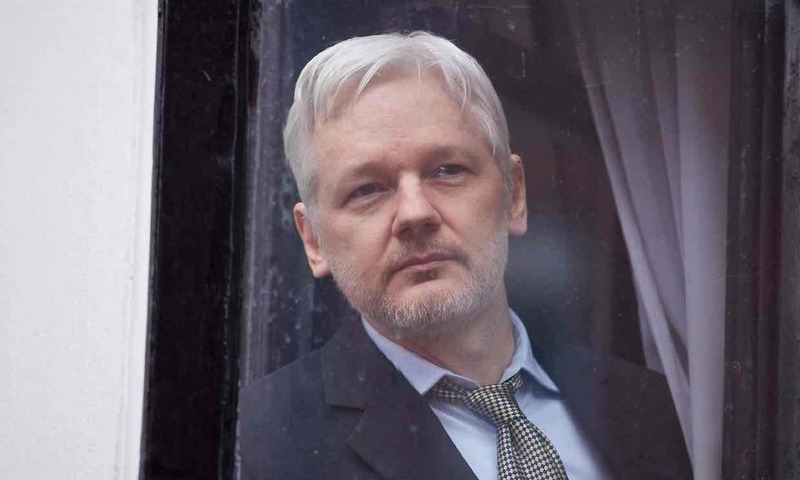 Julian Assange, leader of Wikileaks, claims that this is only the first in a series of leaks, and criticized the CIA, saying that America has already lost these programs to these enemy hands. Notably, Wikileaks has included significant redactions in these documents, unlike with the Snowden NSA files or DNC emails. Assange also promised to have his organization meet with major tech companies in order to better safeguard them against hacking attempts by the US government. It should be noted that some commentators have questioned the impact of these releases, saying that they are not as earth shattering as they appear, and a case of the media blowing something out of proportion. On Thursday, the Pentagon announced it is sending 400 troops to Syria in order to combat ISIS. Under former-president Obama, 500 special operators were sent to train local forces. 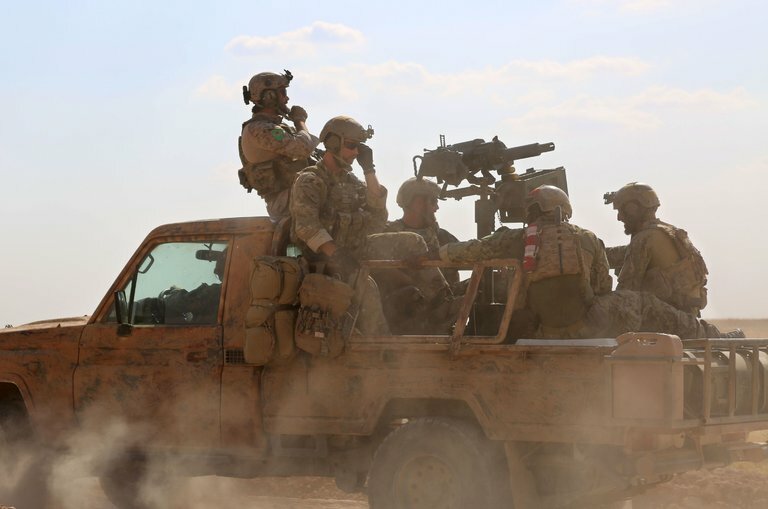 With the new deployment, it rounds the number of US soldiers in Syria up to 900. US Generals plan to use these troops to assist local fighters in an attempt to reconquer the city of Raqqa. The marine deployment is equipped with Howitzers, which will provide artillery support. Raqqa is viewed by ISIS as their capital, and its capture holds special significance, both operationally and for the narrative of the so-called Islamic State. In a statement from military officials, the operation to retake Raqqa should only take a couple of weeks. This push for troops comes a month after the Pentagon released their new plan to combat ISIS, which entails upping the amount of troops in Syria to provide assistance to anti-ISIS military forces in the area. In response to the Pentagon deployments, a Democratic lawmaker has submitted a bill with the intent to block additional troops being sent into Syria. At the same time, Reuters leaked that the Trump Administration is weighing an addition of up to 1000 soldiers to continue combating ISIS in Kuwait. Wednesday of this week marked International Women’s Day. 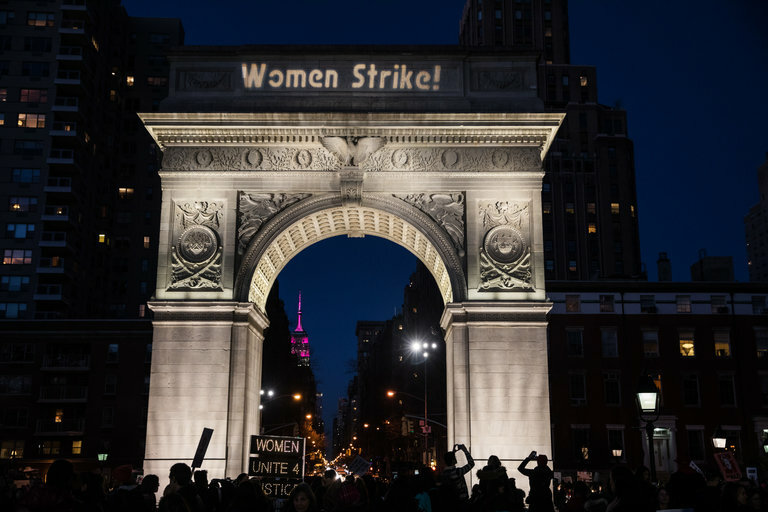 In honor of this important day, many progressive organizers joined a ‘Day Without Women’ movement, in which women took off from work in protest, as well as wore red to signify their involvement, and were encouraged not to spend any money. All around the world, women took part, with some companies even encouraging their female workers to join in and not show up to work. Various protests occurred all across the world. In Washington DC, a large crowd gathered in front of the White House, protesting the current administration. In New York City’s Central Park, a large gathering was held, led by the leaders and organizers of the Women’s March. The crowd then began moving towards Trump Tower. Thirteen of the leaders of this gathering were arrested for their involvement. The Bronx unfortunately has no bookstores, despite being a borough containing over 1.4 Million People. The last one, a Barnes & Noble, closed down last December. Before shutting its doors, this Barnes & Noble was the only bookstore in the Bronx for many years. However, one Bronx woman named wants to fix this problem. Noëlle Santos was involved in protests back in 2014 to extend the lease of the Barnes & Noble. Now as a result of that store closing, she decided to open up her own bookstore. Called ‘the Lit. Bar,’ this bookstore is designed to maneuver around the problems that crop up with other big name book shops. It is intended to serve the needs of the local Bronx community. However, the Lit. Bar is not just a simple bookstore – it’s also a wine bar at the same time. Ms. Santos began funding for this project on the website Indiegogo, with a funding goal of $100,000. 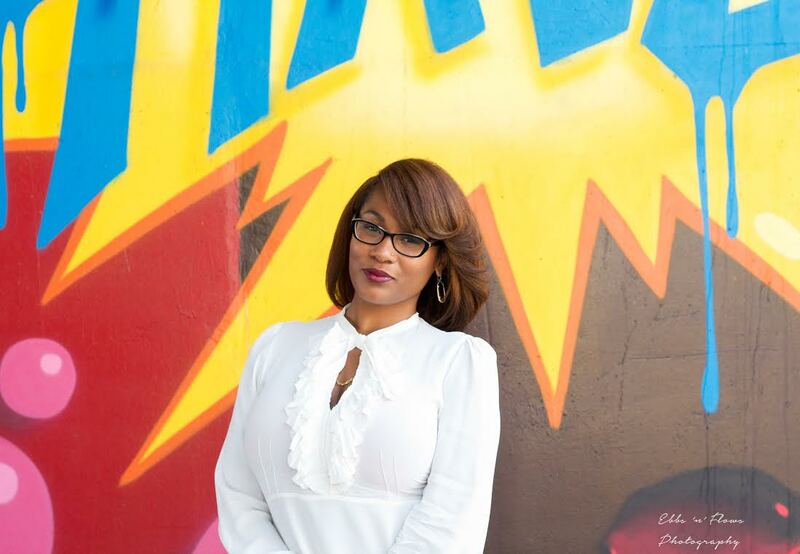 She reached that amount of money, and proceeded to surpass it, ending up with 116% of her intended goal, totaling over $115,000 at time of writing. The Lit. Bar’s website, given below, details the information about the bookstore. Also, they have a link to a poem about the store, which is just rad. The campaign has 8 days remaining!